Salem, OR (June 29, 2017) – Today, the Public Utility Commission of Oregon (PUC) adopted community solar rules that will bring the state one step closer to enabling all Oregonians to directly participate in, and benefit from, local solar projects without having to place solar panels on one’s roof. Gov. Kate Brown signed Senate Bill 1574 on Mar. 10, 2016, directing the PUC to develop a community solar program with the goal of expanding access to affordable, local clean energy. Community solar allows multiple energy customers – families, businesses and schools - the ability to share in the benefits of a local solar project and receive credit on their electric bill for their portion of the clean power produced. 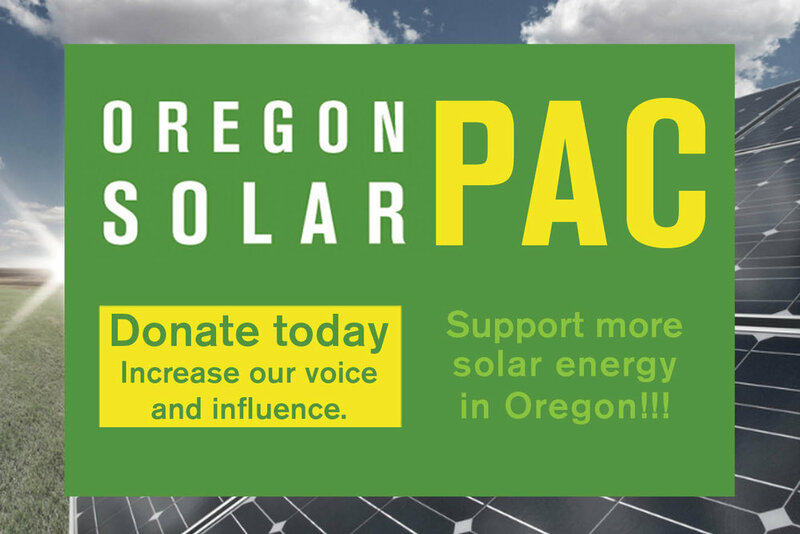 Community solar can make solar accessible to every Oregonian with an electric bill. For the last year, the PUC’s staff and Commissioners have worked with stakeholders to develop the program rules approved today. The program approved today would enable initial development of over 150 megawatts (MW AC) of community solar projects statewide, enough to serve around 22,000 households. Any electric company customer can participate – including homeowners, renters, businesses, schools, and local governments; and at least 10% of the program will be reserved for low income households. While the approval of the program rules is a significant step, industry leaders caution that the PUC still has work to do before developers can begin constructing projects and signing up customers to participate. Most notably, the PUC did not finalize the bill credit that customers will receive on their utility bill for participating in the community solar projects. Industry representatives note that credit value certainty is critical to jumpstarting project development in Oregon. They have been urging the PUC to establish an interim bill credit by the end of 2017 so that initial community solar projects can be built to meet pent-up customer demand. OSEIA is a trade association founded in 1981 to promote clean, renewable solar technologies. We work with industry leaders, academic scholars, legislators, government, and non-profit agencies to advocate for solar technologies and raise awareness of its potential to help secure an affordable, reliable, and clean energy future. OSEIA’s mission is to make solar energy a significant energy source by expanding markets, strengthening the industry, and educating Oregonians about the benefits of solar energy. Founded in February 2016, CCSA is a business-led trade organization that works to expand access to clean, local, affordable energy nationwide through community solar. For more information on CCSA, visit the website at www.communitysolaraccess.org, like the Coalition on Facebook at www.facebook.com/communitysolaraccess and follow the Coalition on Twitter at @solaraccess.